Blackwater River State Park campground has 30 campsites nestled among tall longleaf pine trees and a short walk to the Blackwater River. Each campsite has full hookups (20-30-50 amp), and also a table, fire ring and grate. Campsites can accommodate tents, trailers and RVs (up to 45 feet). Campground amenities include drinking water, flush toilets, hot showers ($) and a dump station. There’s also trails from the campground to the river, picnic shelters, playground, pavilion, and sandy beach. Firewood is also available for sale from the camp host. Blackwater River State Park offers opportunities for a variety of outdoor activities including kayaking, canoeing, fishing, swimming, hiking, biking, picnicking and wildlife viewing. The gulf / ocean is also just a few miles away if you want to spend some time at the beach! You may also be interested in nearby Rocky Bayou State Park or Fort Pickens Recreation Area. 8, 10, 25 and 29. 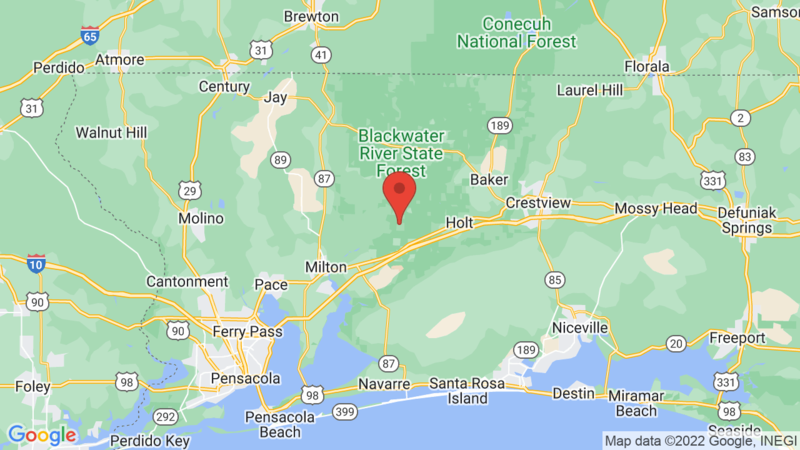 Visted Blackwater River State Park Campground lately? We'd love to hear about your adventure. Did you find us useful? Did we forget something? Anything our community should know before heading out to Blackwater River State Park?